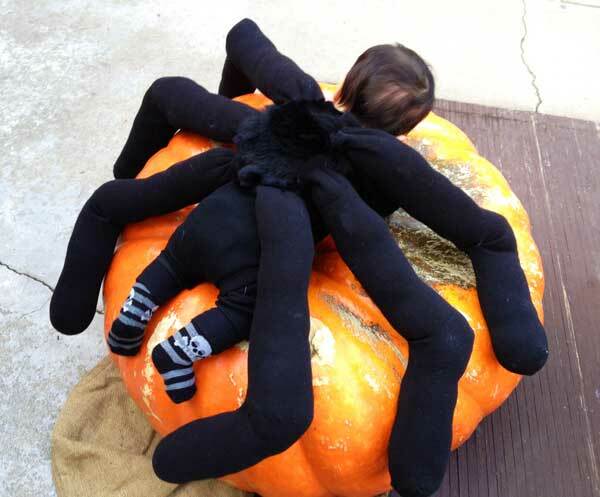 This year we had the joy of celebrating our first Halloween with our 7-week young son. 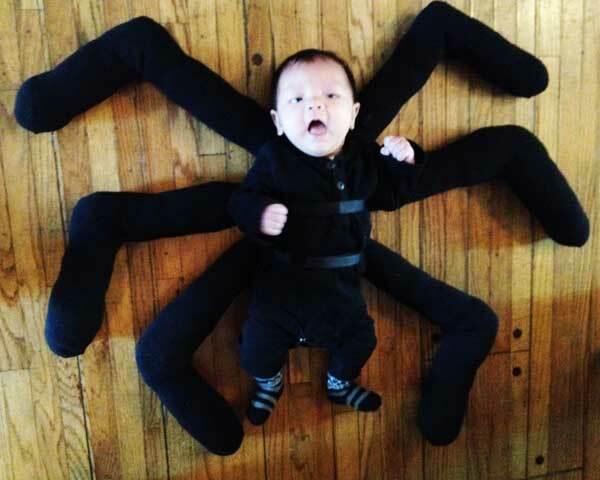 Believe it or not there are plenty of baby costumes you can buy but we opted for something handmade that could work as a joint costume with me. 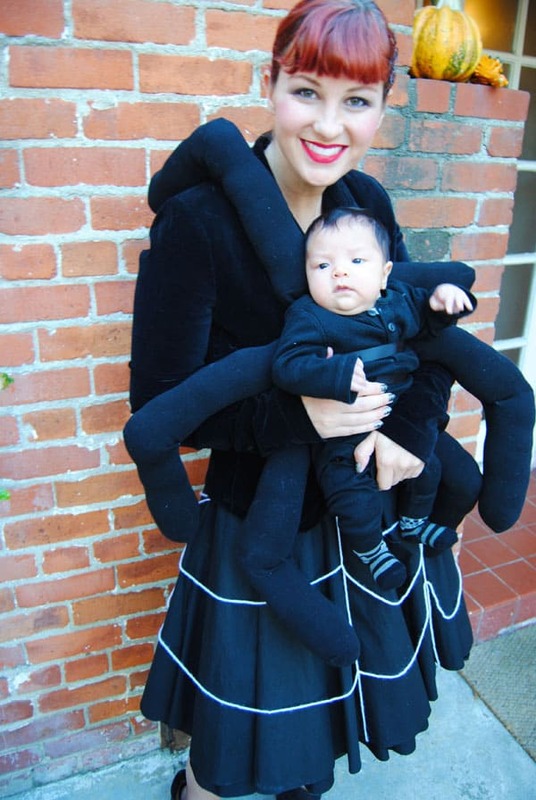 I was inspired by this Spiderweb and Spider costume from Martha Stewart which would work perfect for us. After gathering the socks, yarn and faux fur it only took about an hour to pull together.